Suresh: Well, what you have encountered is a known issue. our engineering team is working on a fix and I’ll update you as soon as it is resolved. At one time, sharing profile updates on LinkedIn was ubiquitous and a source of much fear and anxiety. 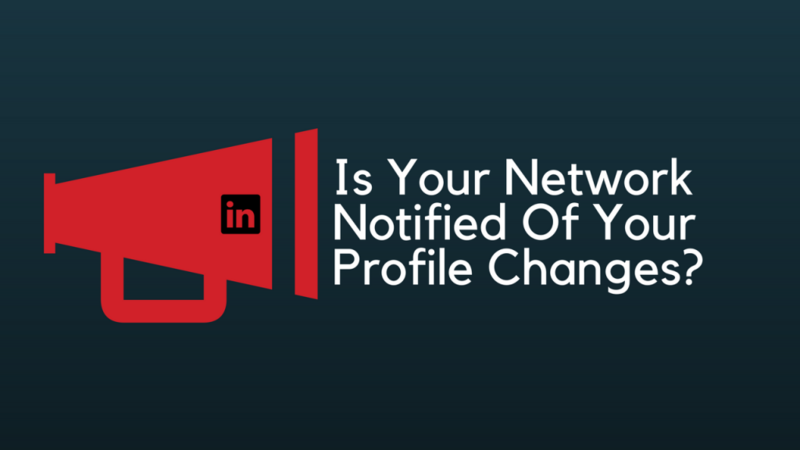 A simple edit of your profile could send out a notification to every member of your network. I can’t tell you how many times I tell clients that they have nothing to worry about; we always turn off profile updates prior to updating their LinkedIn profile and that no one will be notified of their professional profile optimization. In the old interface, the option to turn off broadcasting of profile edits was located not only in the settings section of LinkedIn but also the right sidebar of the LinkedIn profile. With LinkedIn’s new interface, the ability to turn off profile updates still exists in the settings section but it’s also located at the bottom of each experience when in edit mode. At one time, many things triggered updates to the network, recently LinkedIn has limited the updates that spark a notification. 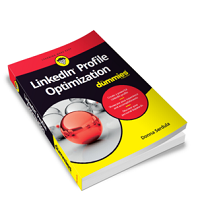 A few months ago, I was updating my book, LinkedIn Profile Optimization For Dummies, for the next reprinting. Working on Chapter 4, Getting Started Building Your Profile, I wanted to update the screenshots showing how profile changes are broadcast out to your network. Guess what? I made edit after edit after edit… TRYING to make an update go out to my network that a change was made to my profile. No matter what I did (adding new experiences and editing current experiences), no update went out. With that stated, I do get notified of work anniversaries and last year I was avalanched in congratulation messages on my work anniversaries. At first, I thought it was a bug. But the more I thought about it, the more it made sense. Why Aren’t Profile Updates Shared with My Network? LinkedIn has a vested interest in keeping people scrolling through their LinkedIn Feed (Home Page). They have made a slew of changes to the LinkedIn Feed to make it “sticky.” The updates that are shown are no longer chronological but are now curated for the reader based on relevancy. LinkedIn wants their newsfeed to be interesting and engaging. Back in the day, very few people scrolled through LinkedIn’s newsfeed because it was BORING! Nothing but connection notices and updates that a profile was changed. Since LinkedIn has introduced a more interesting newsfeed, engagement is at an all-time high. I know myself, I enjoy scrolling through the posts of my network and interests now that the boring updates no longer clog and pollute the LinkedIn Homepage Newsfeed. If you want people to know you updated your profile by adding a new experience, post an update manually. Even though it appears these updates are not being broadcast, I still recommend turning off “sharing profile edits” in your settings, if you do not want your network notified of your LinkedIn profile changes. 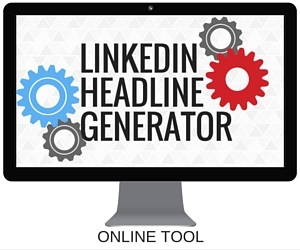 This link works on both LinkedIn’s desktop and mobile apps. Finally, I found my answer! Was so worried that everyone received a flood of my profile picture updates while I experimented to find a fit I liked. Would you like to explain how you fixed it? I have the same problem with my Linkedin account.